The most comprehensive promotions management platform for retailers in the marketplace today. 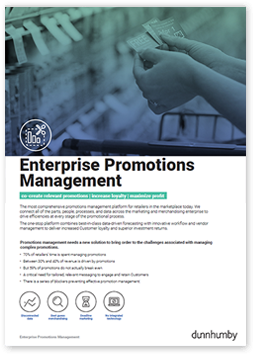 We connect all of the parts, people, processes, and data across the marketing and merchandising enterprise to drive efficiencies at every stage of the promotional process. The one-stop platform combines best-in-class data-driven forecasting with innovative workflow and vendor management to deliver increased Customer loyalty and superior investment returns. Negotiate better deals, increase vendor funding, and reduce audit fees using our cloud-based vendor portal. 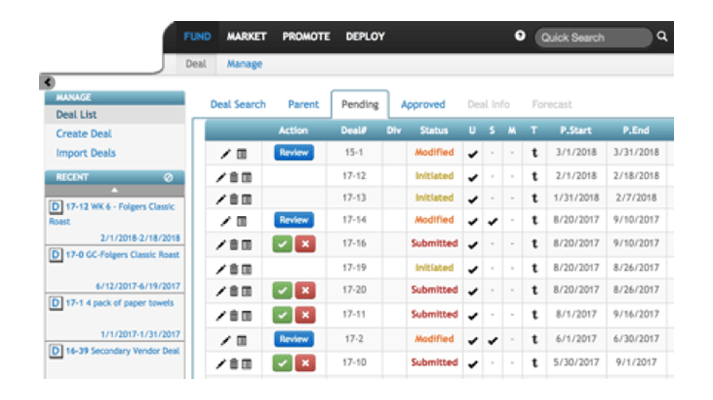 Allows vendor submission of new items, cost changes, and promotional deals with over 40 configurable billing rules to manage vendor funds. Streamline your promotional processes with a task management system to ensure timely, efficient and consistent execution. 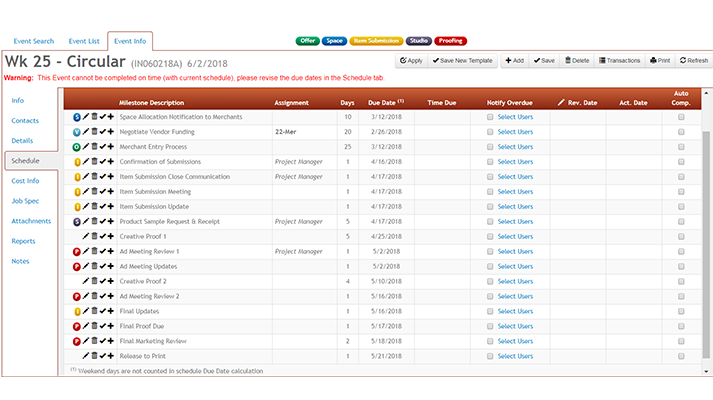 Configure your process steps, assign owners and deadlines to employees, vendors and third parties; as well as receive alert emails for overdue tasks. Leverage machine learning demand models to forecast the impacts of all your promotional decisions throughout the entire process. From real-time forecast evaluation of vendor offers to viewing the impact that changes to your advertised digital and print circulars have on your business.